There's something curious about drinks that you eat. (SPOT.ph) We know you love The Lost Bread. We know you love Scout's Honor. 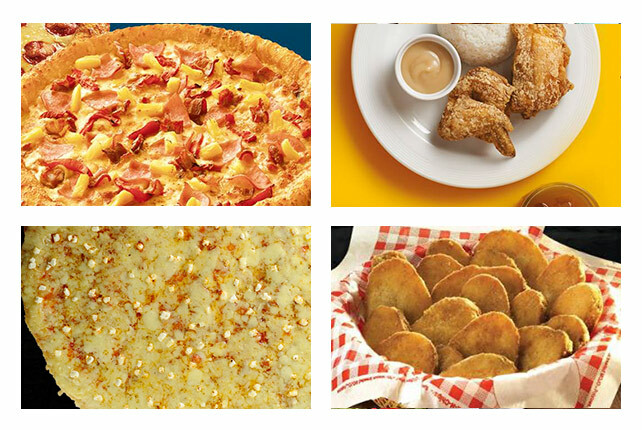 We know you love Crisp on 28th. That's why we've already put their kooky milkshakes on a list in 2015. 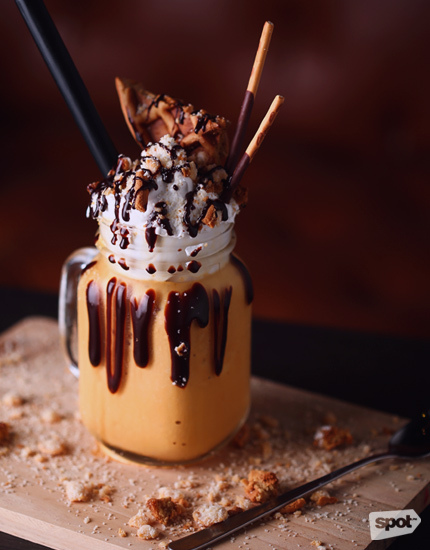 (Read: These 5 over-the-top milkshakes could launch a trend.) And yes, they did jumpstart a frothy revolution. 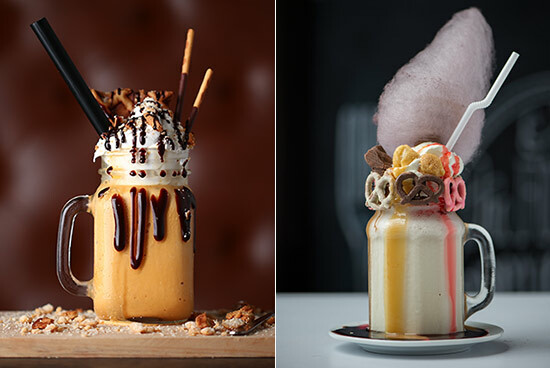 If you like to drink your dessert, here are six other insane milkshakes that should satisfy your wild sweet tooth. Looks like Kumori's not all about cheesecakes anymore. This newly opened cafe is where Kumori fans can actually sit down and enjoy their cakes and bakes—with some milkshakes on the side. 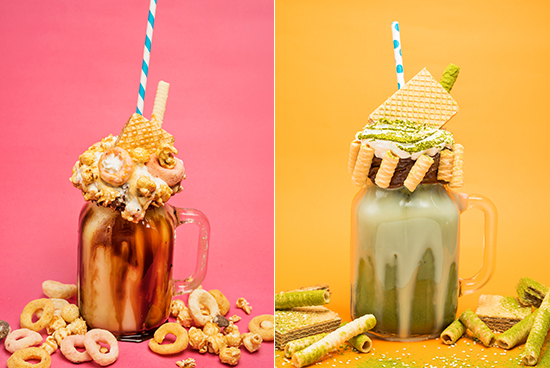 These fashionable numbers come in flavors like Chocolate Hazelnut, Matcha, and Sweet Corn, all served in mason jars topped with ice cream, pretzels, wafers, cookies, popcorn. You name it. Cafe Kumori is at G/F The Block, SM North EDSA, Quezon City. Read more about Cafe Kumori. We love how Fat Daddy's is still staying within their meaty theme. They have one crowned with their home-cured bacon and another enrobed in caramel popcorn. Getting at least one milkshake is a must. It's the perfect end to their carnivorous offerings. Fat Daddy's Smokehouse has branches at 171 Dao Street, Marikina Heights, Marikina City; and Burgos Circle, Bonifacio Global City. Read more about Fat Daddy's Smokehouse. 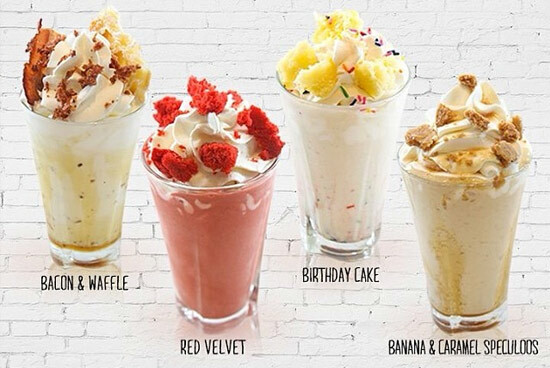 The shakes at this Alabang sweet stop are so crazy, the owners are calling them "Cwazy" instead. These drinks feel more like a mash-up of an ice cream sundae and a milkshake. Flavors range from quirky Pumpkin Spice to nostalgic Cereal Milk, but whichever one you order gets you three scoops of ice cream, milk, and Chantilly cream. The toppings depend on the flavor, but we've taken note of pretzel sticks, cookie crumbs, waffle slices, and more. Milkbox is at Alabang Town Center, Muntinlupa City. Read more about Milkbox. This shake shack has been around for a while. They've been known for their incredibly thick, hardly sippable concoctions, but it's only recently that they've amped their topping game. How about a milkshake with a pancake on top? Click here for a list of Starr's branches. 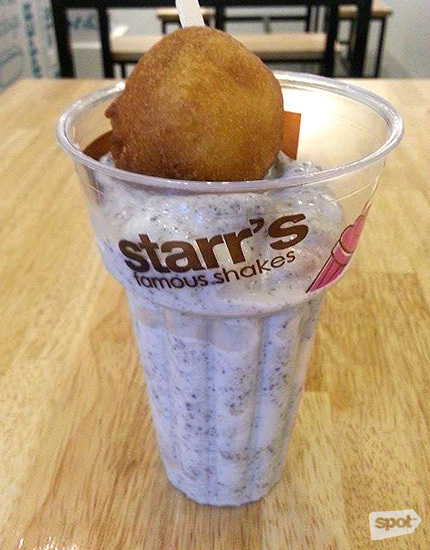 Read more about Starr's. 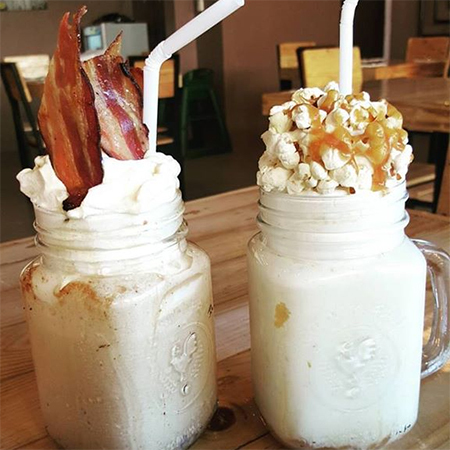 Cupcakes by Sonja may actually be the first place in Manila to flourish their milkshakes with outrageous non-milkshake-y things. We blame their Crupcakes. They've been stealing the spotlight, even away from the store's signature cupcakes. Cupcakes by Sonjas offers three flavors: a breakfast-themed Bacon and Waffles (complete with actual bacon and waffles), Red Velvet (which is crowned with their bestselling cupcake), Birthday Cake (adorned with sprinkles and chunks of yellow cake), and Banana Caramel Speculoos (topped with cookie pieces). Click here for a list of Cupcakes by Sonja branches. Read more about Cupcakes by Sonja. 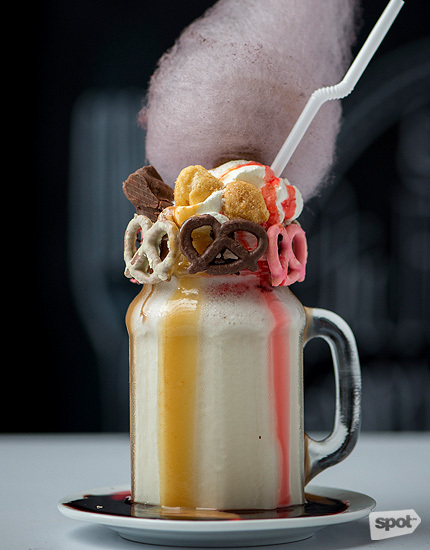 This eatery is going for the retro-diner effect, so, of course, it has milkshakes. They do more than cherries and whipped cream on top, though. Diner on 16th loads theirs up with poufs of cotton candy, slices of chocolate candy bars, caramel popcorn, syrups, pretzels, and crackers. Diner on 16th is at 16 United Street, Kapitolyo, Pasig City. 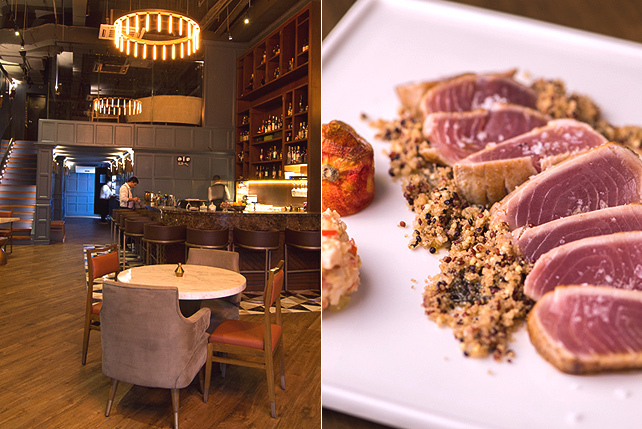 Read more about Diner on 16th.